What Does Child Support Cover in Washington? Child support is a complex, sticky issue. Both parents are legally responsible for helping to pay for their child’s needs, but many parents do not know exactly what child support covers. In a divorce, the courts will generally order that the non-custodial parent pay support or “support transfer payments” to the custodial parent. This support, calculated using standard Washington State guidelines, contributes to children’s basic needs. 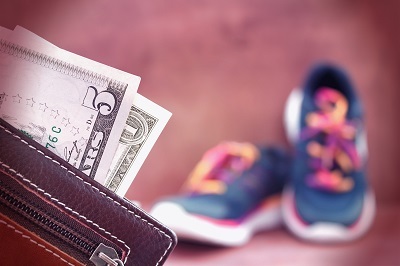 Above support transfer payments, parents generally split the costs of additional expenses their children incur, such as for piano lessons or sports uniforms. Below, I discuss what child support transfer payments do and not cover. For help calculating support and for legal counsel for divorce and custody matters, call me at the Law Office of Molly B. Kenny in Washington: 425-460-0550. Courts award child support to help meet a child’s basic needs. “The court’s main concern in setting child support is to make sure that your children have enough money to meet their needs. Support is for clothes and food, to give the children a place to live (rent/mortgage and utilities) and have decent daycare and medical care,” explains Northwest Justice Project. Courts calculate basic child support obligations using the parents’ incomes and the state’s child support schedule, called the child support economic table. The figures are statutory; there is little to no wiggle room in basic support figures. The paying parent will make a transfer payment each month to the custodial parent to pay for the child’s food, clothing, housing, utilities, and gas expenses. How Do Parents Handle Additional Expenses? Can You Help Me With My Child Support? My team at the Law Offices of Molly B. Kenny can help with any aspect of family law in Washington, from custody and child support, to dissolution and modifications of court orders. We can calculate your income, account for any income adjustments, determine support amounts, and ensure your support orders are appropriate and fair. Contact my office today at 425-460-0550 for a consultation.